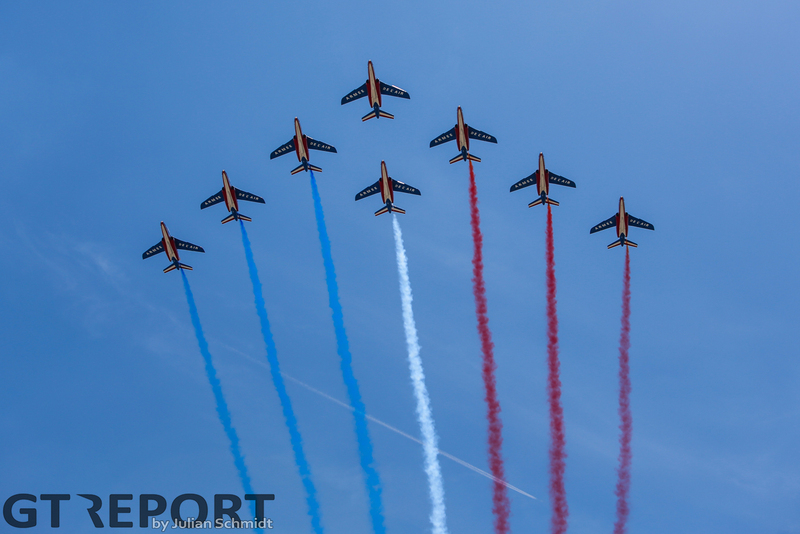 For nearly a century the world of motorsports has been coming to the town of Le Mans for the annual Grand Prix d’Endurance. 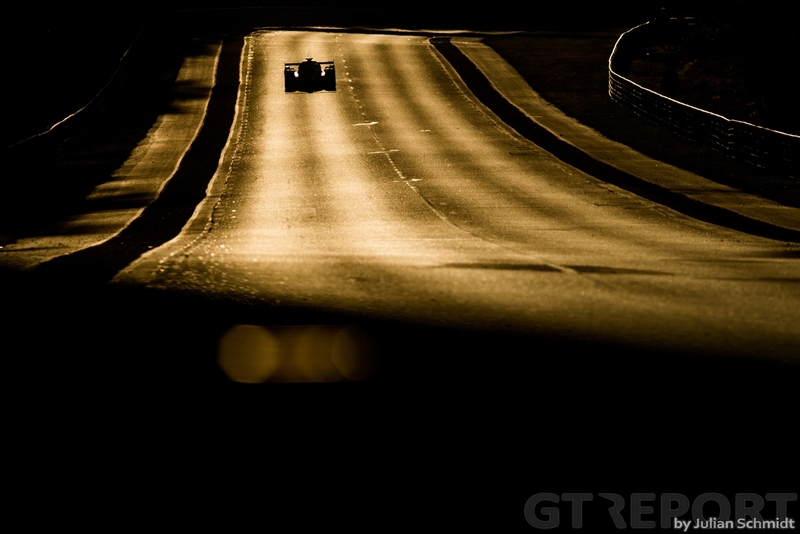 Over the decades the track and cars have changed, but the spirit of Le Mans remained the same. 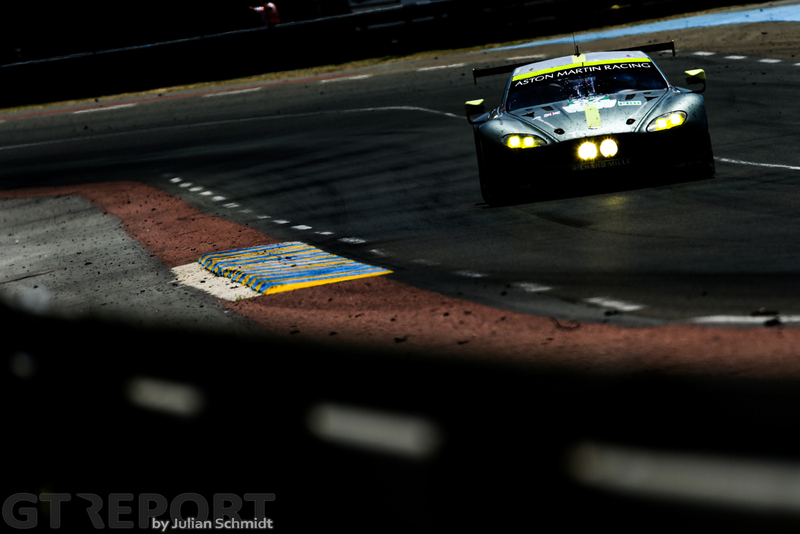 Today, at 15:00 CET hours, the 85th edition of the 24 Hours of Le Mans is on. 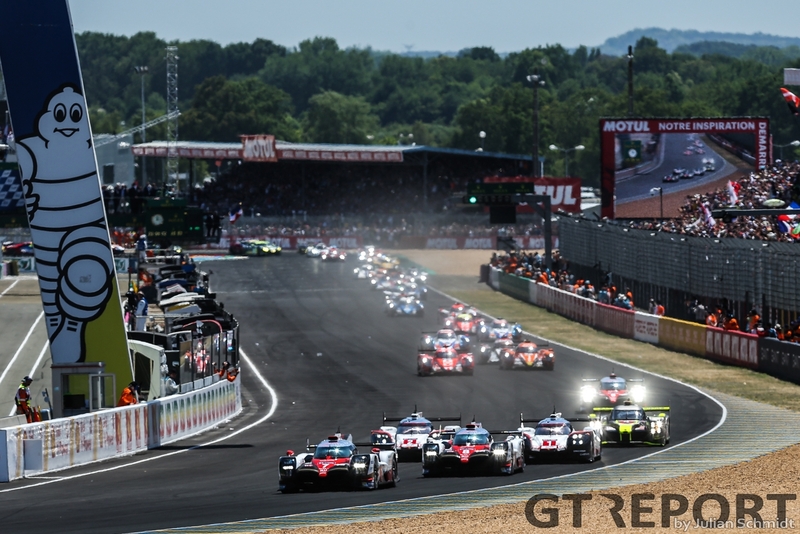 The number 7 Toyota TS050 Hybrid will lead the 60-car field to the French flag after Kamui Kobayashi shattered the track lap record on Thursday evening with a perfect lap of 3:14.791. When the time appeared on the timing screens, it was clear to everyone that the die was cast. There would be no bettering of the Japanese’s time. Porsche didn’t even seem to try, settling for the second row on the grid. Go to the live blog below. Michelin live timing and scoring. As the cars are waiting on the starting grid with half an hour to go to the start, a place in the shades is in high demand for everyone around the Circuit de la Sarthe. The air temperature is approaching 28 degrees without a cloud in the sky for cover. 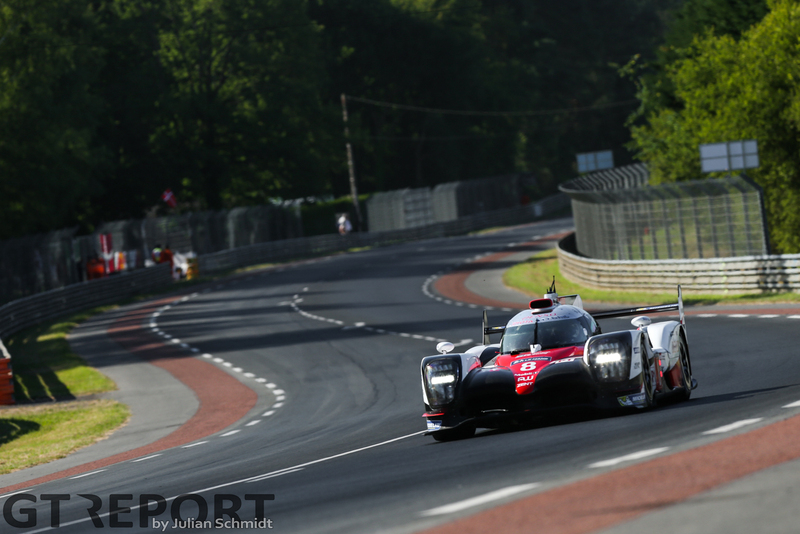 This might compromise Toyota’s race strategy as the TS050s, unlike the Porsches, don’t have airconditioning. If the ambient temperature rises above 32 degrees, the Japanese is per the regulations forced to limit the stints per driver to 80 minutes. But that might all not come into play. As of right now, the forecast reaches no higher than 31 degrees on Sunday afternoon. Here’s how Kamui Kobayashi placed the number 7 Toyota on pole position, with his perfect record-breaking lap on a nearly empty track helped by two perfectly placed tows. The race to tomorrow is on! Mike Conway took off from pole position in the number 7 Toyota at the start and left the rest of the field behind him for the first stint. 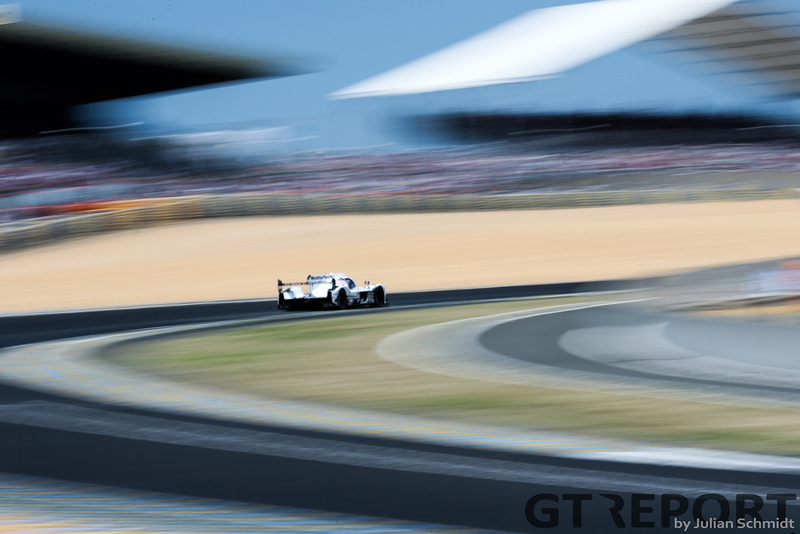 Neel Jani had his sights set on second place when the French flag flew and when he saw Sébastien Buemi struggle to get through the first chicane, the Porsche pilot attacked and took the number 1 Porsche to second. After a little back and forth between Buemi and Jani, the race at the front settled in until the first round of pit stops. 45 minutes into the race the frontrunners were making their pit stops. First in was Buemi, followed by both Conway and Jani a lap later. Coming back onto the track, Jani lost second place to Buemi. The number 8 Toyota started applying pressure on Conway who had held the lead during the pit stop, but the Brit managed to stand his ground until Buemi took the lead halfway through the lap with a daring move around the outside of the high-speed Indianapolis corner. 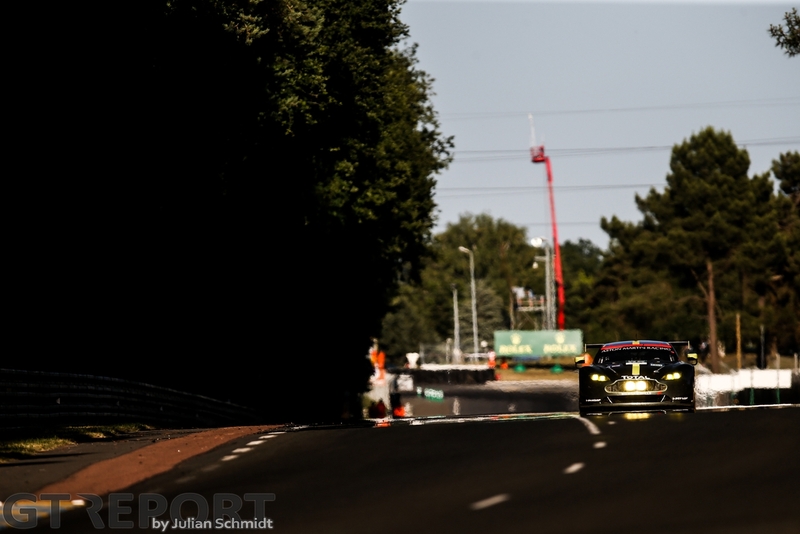 Not much later Conway returned the favour, outbraking Buemi into Mulsanne Corner and taking back first place. Buemi tried to keep up with Conway, but after a mistake lost to much ground to stay in his team mate’s slipstream. Jani closed in and Buemi have been exchanging second place between them ever since. Nicolas Lapierre in the third Toyota is doing everything in his power to keep up, taking a lot of risk in traffic. 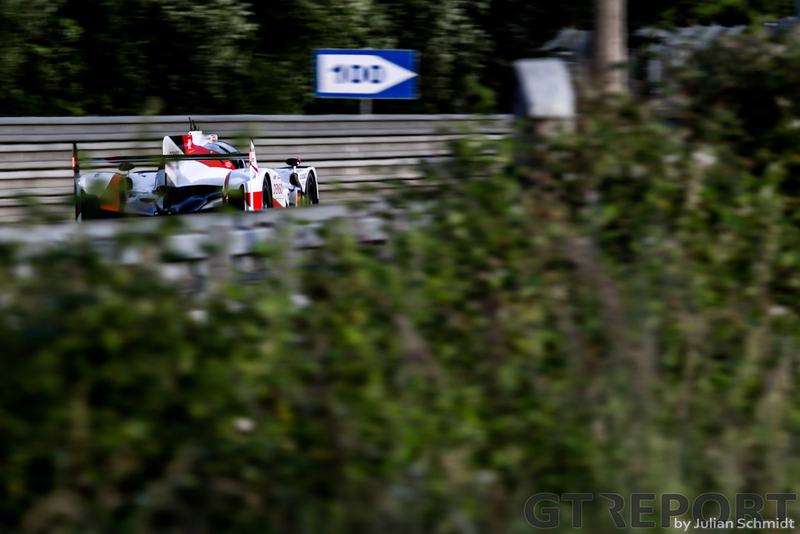 His number 9 Toyota is last of the LMP1 works teams at over a minute distance to Conway. 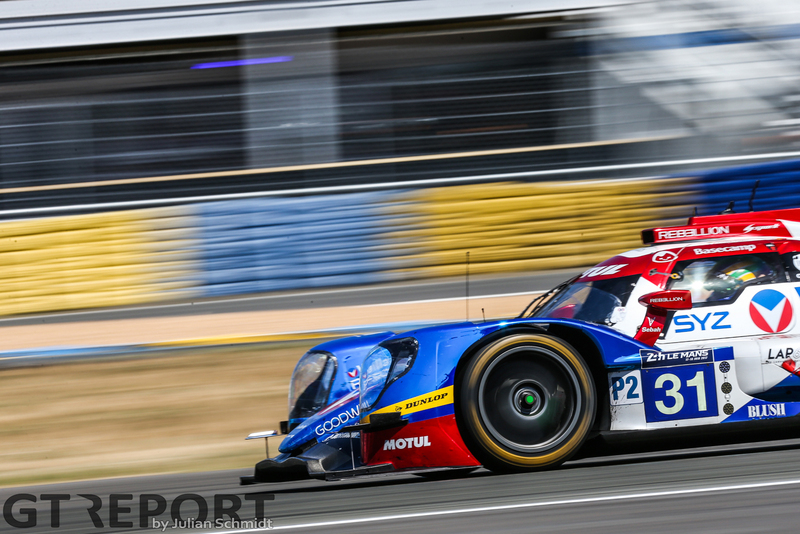 Rebellion is looking strong in the LMP2 class, running up front with both cars. Although the gap to the rest of the competition isn’t immense, the Swiss team is in complete control. 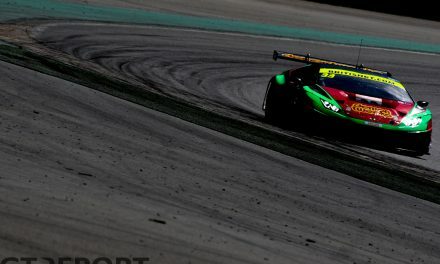 LMP2 frontrunners G-Drive’s chances of winning have already been halved after Roman Rusinov took out both himself and the number 88 Proton Porsche 991 RSR of Khalid Al Qubaisi. The Russian made a monumental error of judgement going into the fast Porsche Curves, trying to pass the GTE-Am car but hitting Al Qubaisi in the side and sliding into the barriers at high speed. Both cars have been retired. 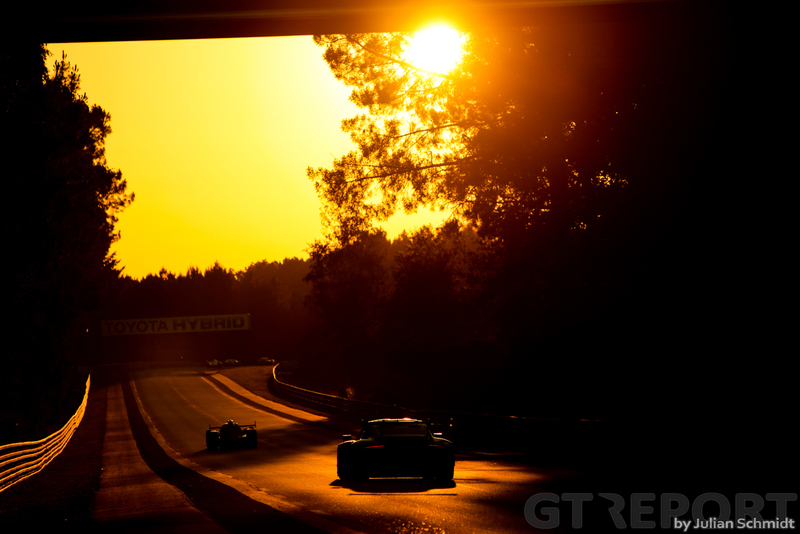 With the sun setting over the Sarthe plains, the 24 Hours of Le Mans prepares for a short midsummer night. At the front, the fights have mostly died down. 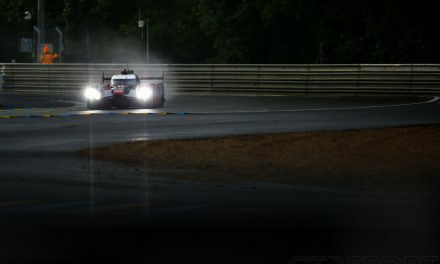 It’s still the number 7 Toyota in front, now with Stéphane Sarrazin behind the wheel, André Lotterer in the number 1 Porsche trailing and the number 8 Toyota of Kazuki Nakajima in third. Nakajima, however, is close to Lotterer. 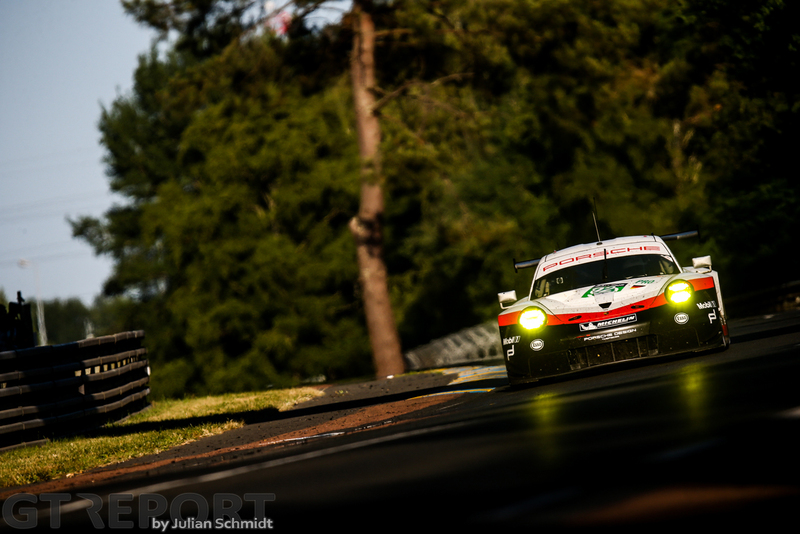 An attack by the Japanese racer on the Belgian-German Porsche pilot in the seventh hour was halted when Lotterer made good use of the traffic and put a Corvette between himself and Nakajima, allowing Lotterer to widen the gap and give himself some breathing space. The number 9 Toyota, despite its drivers’ best efforts, is now a lap down, while the number 2 Porsche was thrown out of contention when it suffered a front axle failure. Brendon Hartley is back out but lost 19 laps after the lengthy repair. 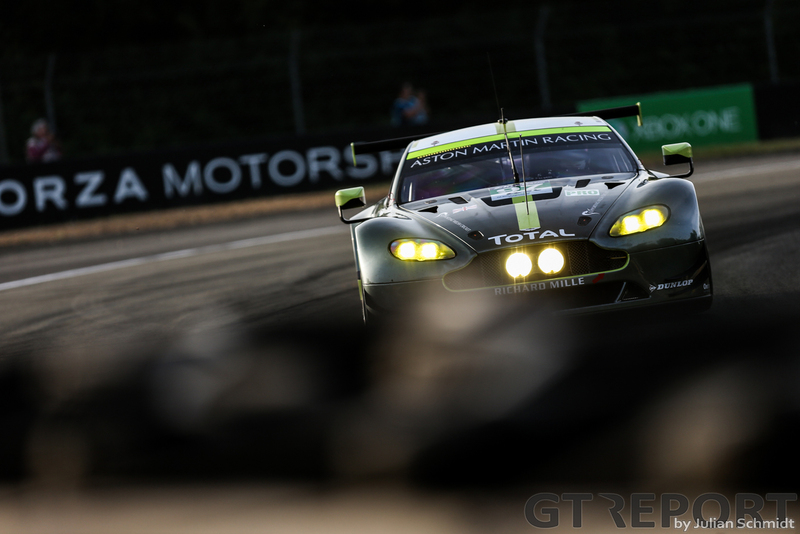 Aston Martin still dictates the pace in the GTE-Pro field. It isn’t the number 95 anymore, however, as that car lost the lead when its tyre went flat, throwing it to the back of the class. Darren Turner in the number 97 moved up into the lead with a lead of almost half a minute to Andy Priaulx in the number 67 Ford GT. It was much closer earlier in in the fight for the remaining positions. 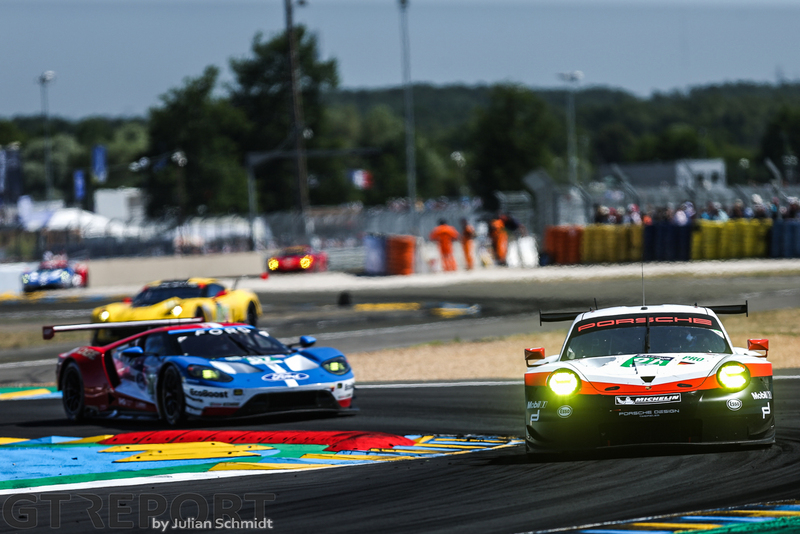 Porsche and Ford were less than kind to each other, giving no single inch even for the positions outside of the podium. Just how competitive the field behind Aston Martin is, is shown on the scoring screens, where half of the running GTE-Pros are still on the same lap as the leader. 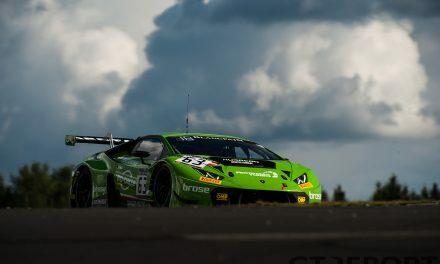 Only Risi Competizione is out of the GTE-Pro race. 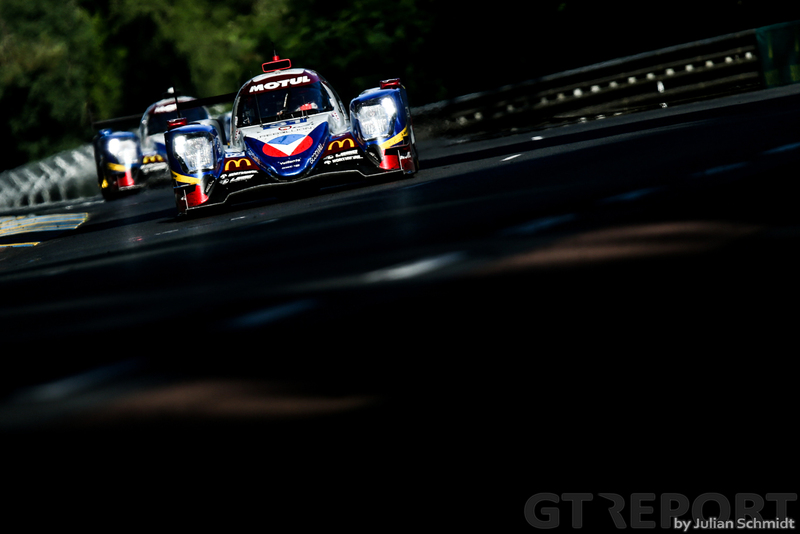 The American GT team was crashed out at the five-hour mark by a poor move of Matthieu Vaxivière in the number 28 TDS Racing Oreca LMP2, an action that has cost the team a 7-minute stop-and-go penalty. Braking for the first Mulsanne chicane, the Frenchman moved over into the side of Pierre Kaffer’s Ferrari. Kaffer veered off and smacked nose-first into the guardrail, barely missing a marshal. The German got out of the car unscathed, after giving his team an earful about Vaxivière. Hour 11 – 13 hours to go. 170 laps completed. 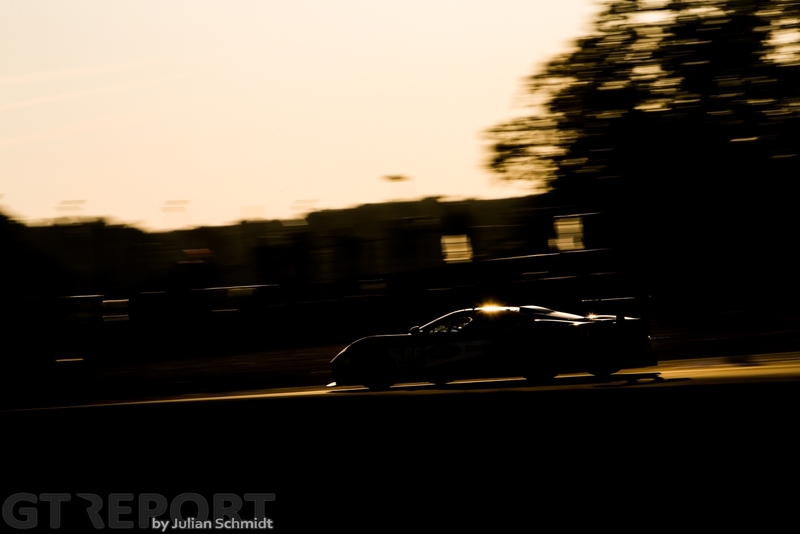 With the darkness of night firmly established, the traditional chaos of the night at the Circuit de la Sarthe started to appear with the number 66 Ford GT of Olivier Pla spinning off into the gravel. Whilst able to rejoin the race, the team earned the wrath of the race director when its driver dropped gravel all over the track at Indianapolis, Eduardo Freitas voicing his displeasure to the team in a polite but firm manner. Thirty minutes went by under safety car as marshals scrambled to clear the track. As the track went green again the number 7 Toyota stayed slow with a suspected clutch problem. 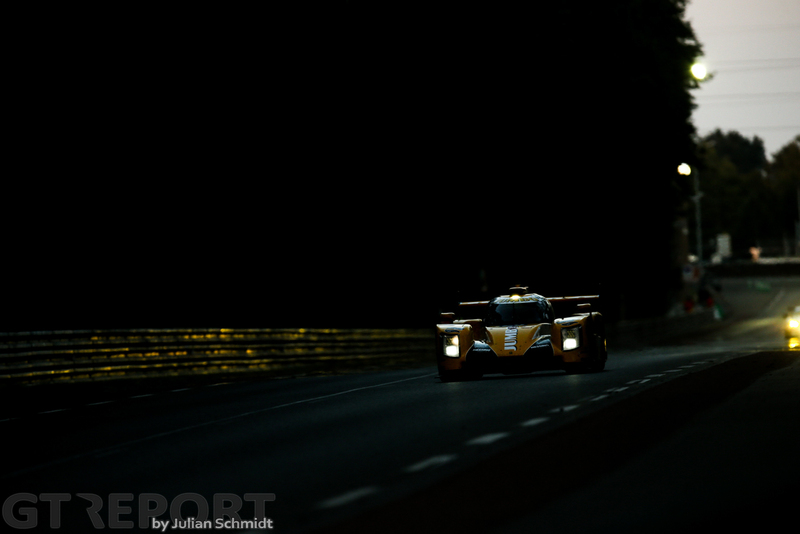 The car trundled down the Mulsanne Straight at pit lane speed, other cars zipping past at over three times it’s speed, a scary thing to witness in the night. The car didn’t make it too far as it ended up stopping on the side of the track. At 1:08 hours Kamui Kobayashi stepped down from the left hand side of the number 7 Toyota and with it brought his race to an end. In the Toyota garage crew members hugged and Mike Conway was close to tears. 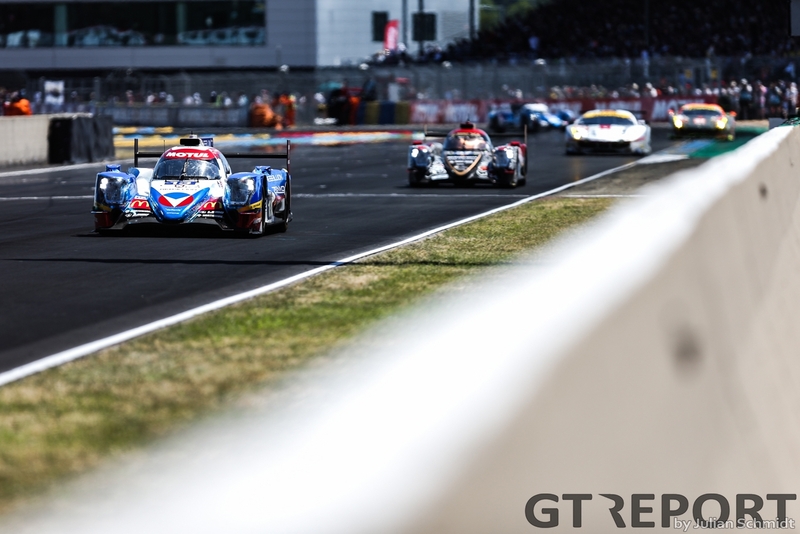 But, unfortunately, it was about to get much worse for the Toyota Gazoo Racing team as the number 9 car driven by Nicolas Lapierre sustained a right rear puncture after contact with another car. As the tire started to tear apart the bodywork, it hit some hydraulic lines causing problems with the cars systems. Flames were briefly seen from the back of the car as it crawled with agonizing slowness towards the pits. The car stopped again but despite restarting and moving to within several hundred yards of the pit entrance, it would be game over for the crew of the number 9. Within the space of forty five minutes, Toyota’s challenge would be blunted, the number 8 remaining in the race but far back, too far to challenge for victory. In LMP2 Rebellion Racing are firmly in control with the number 31 leading the number 13 sister car by a lap, the cars being second and third outright. If they can stay there that would be fantastic result for the fan-favourite team. The number 25 CEFC Manor TRS Racing Oreca crashed in the Porsche Curves shortly after 1:00, Simon Trummer limping away from the scene. In GTE-Pro the top three are all on the same lap with James Calado in the number 51 Ferrari leading the number 97 and number 95 Aston Martins. 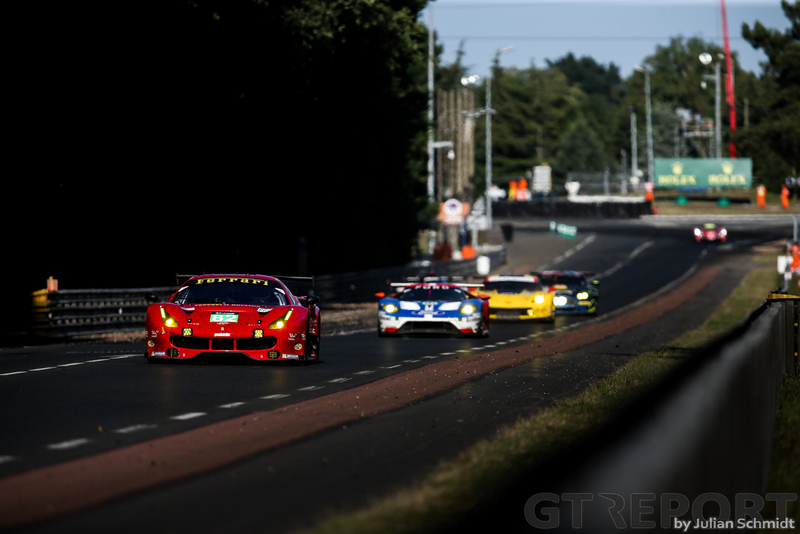 Ferrari leads GT-Am with the JMW Ferrari 488 on debut. Hour 15 – 9 hours to go – 234 laps completed. 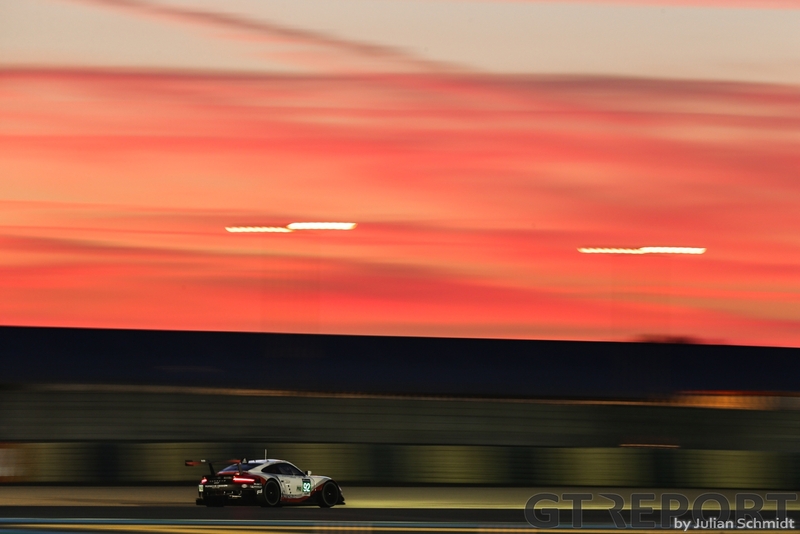 As the night moved slowly towards dawn the leader of LMP2, the number 31 Valliante Rebellion Oreca in the hands of Nicholas Prost spent eight minutes in the garage with clutch related problems. The unscheduled stop was enough for it to lose the lead, this being taken up by the number 38 Jackie Chan DC Racing Oreca of Oliver Jarvis. Just after 4:00 the number 92 Porsche Team Porsche RSR went hard into the wall at the hands of Michael Christensen, destroying the rear-end of the car and ending its race on the spot. Christensen was thankfully uninjured in the incident. Likewise good news came from the medical centre that Simon Trummer who was involved in the race ending crash for the number 25 CEFC Manor TRS Racing Oreca LMP2 was bruised and sore but otherwise uninjured. 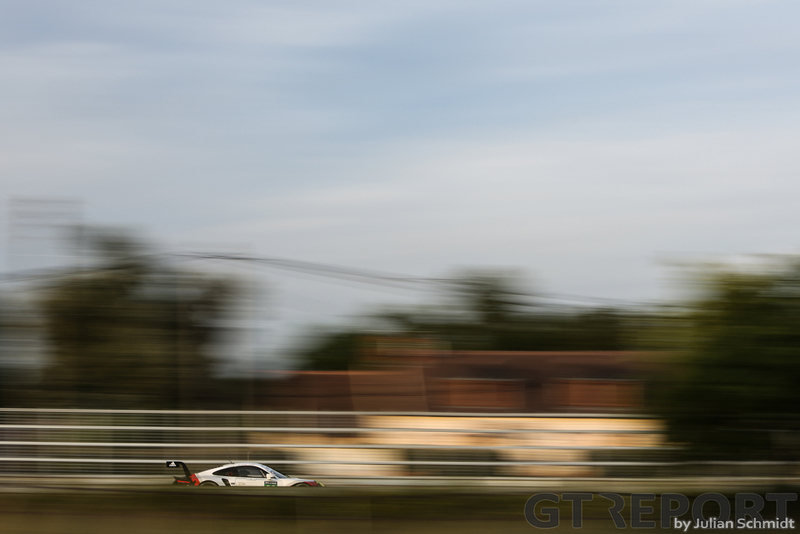 In GTE-Pro it was an entertaining battle between the second-placed number 97 Aston Martin of Darren Turner and the number 51 AF Corse Ferrari of Alessandro Pier Guidi. The Aston Martin clearly had legs in a straight line and was able to get past Pier Guidi on the Mulsanne Straight, but the Italian was able to grab the lead back in the corners. The battle went on for some time until the Ferrari pitted. Out in front, Dane Nicki Thiim kept the lead in the number 95 Aston, not bothered by what was going on behind him in the class. At 5:17 there were further problems for the number 31 Rebellion Oreca when it momentarily stopped out on track for an unknown problem just after the Dunlop bridge, but got under way shortly after. 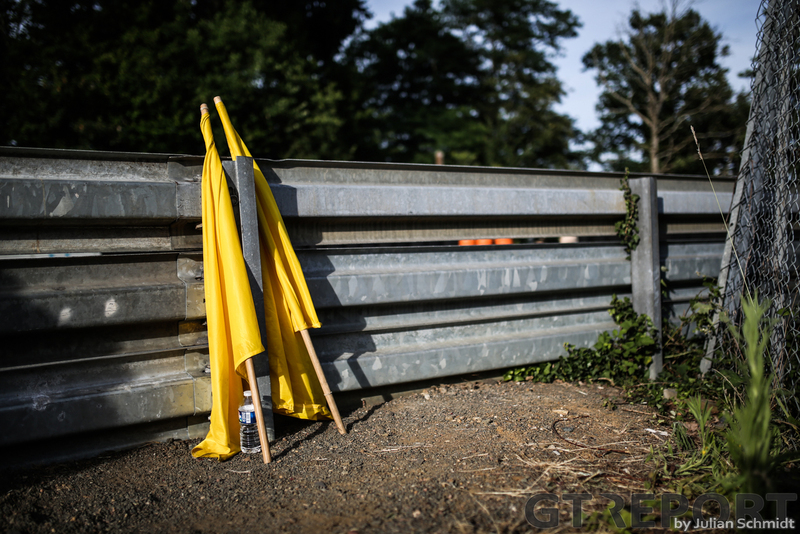 As the sun rose to usher in the last third of the race, there was a nasty crash into the barriers at the exit of the Karting Curves for the number 28 TD Racing Oreca of Emmanuel Collard, the veteran Frenchman going off into the barriers at high speed. The safety car was immediately called whilst recovery and medical crews attended the scene. Several teams took the opportunity to change their brakes, amongst them AF Corse who did this to the number 71 Ferrari in quick time. 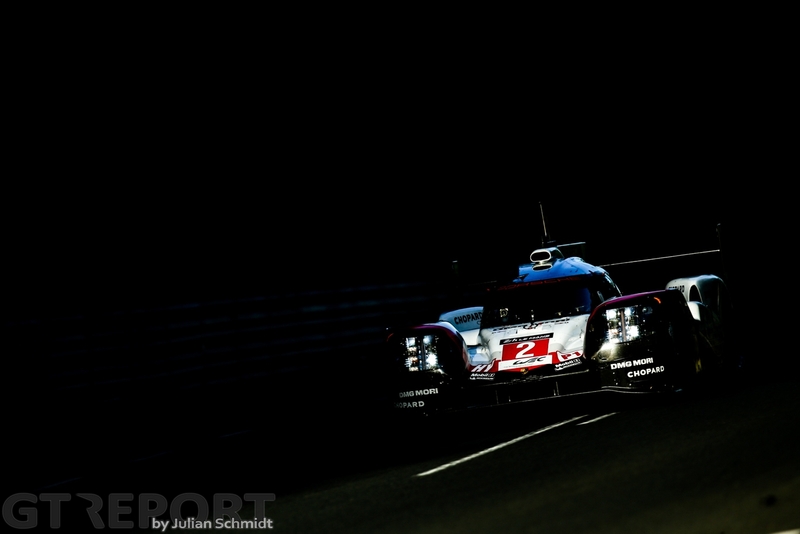 With eight hours to go the number 1 Porsche leads by eleven laps overall from the the LMP2 leading number 13 Valliante Rebellion Oreca with the number 2 Porsche 919 of Timo Bernhard just six laps behind them. In GTE-Pro the sole remaining Porsche Team RSR of Richard Lietz leads from the two Astons. 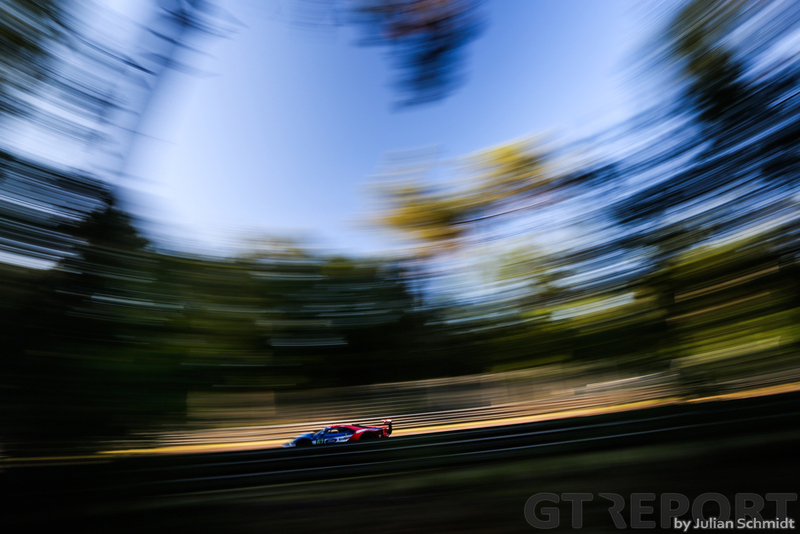 In GT-Am the fairy tale debut of the JMW Motorsport Ferrari 488 continues with it holding a one lap lead. 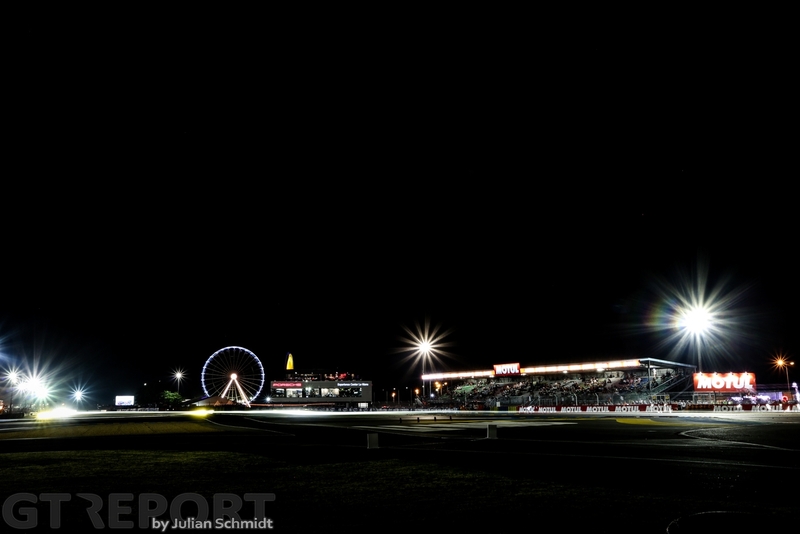 Hour 19 – 5 hours to go – 299 laps completed. 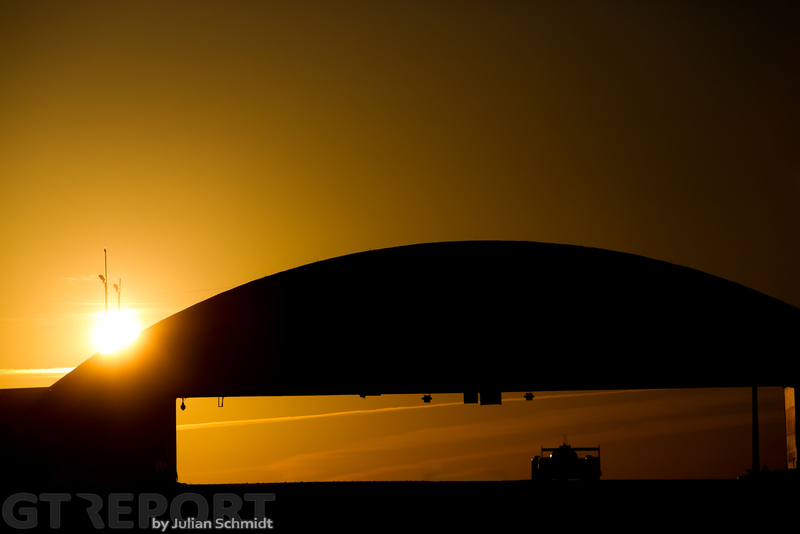 The leading number 1 Porsche 919 continued its relentless stride towards the flag as the day started to move on from the dawn and towards mid morning, the sun making its presence known quite quickly. 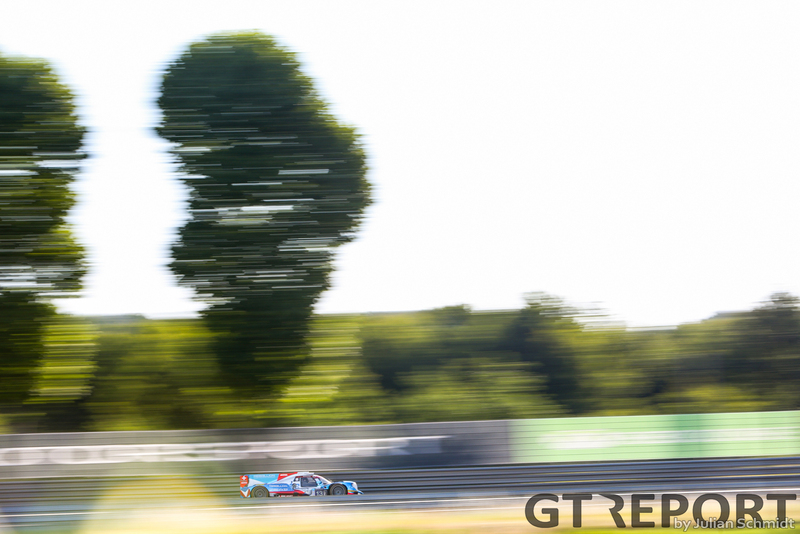 The no holds battle in GTE-Pro continued but there was a change at the front when the leading number 95 Aston Martin of Richie Stanaway braked late and went off at the end of the Mulsanne straight, damaging the front left corner of the car. The young Kiwi gun made it back to the pits where the Aston Martin Racing crew hurriedly repaired the front of the Vantage, taking nearly eight minutes in the process. The car rejoined with the number 63 Corvette now in the lead, but it wasn’t for long as the Corvette pitted shortly after to pass first place on to the number 91 Porsche. The woes of the number 95 got deeper as a lap later the car slowed on the track and went back into the garage, presumably as a result of the earlier crash. Rebellion’s woes continued for both cars. The number 13 car refused to restart after a pitstop and went into the garage for several minutes while the crew looked in the rear of the car. Starter motor troubles wouldn’t stop the car from going back out onto the track, but soon after it was back into the garage with a repeat of those issues. The car, however, is still in the race. Meanwhile, the sister car of number 31 suffered gearbox problems with six hours left in the race, such disappointment for the British-Swiss crew after challenging so long for the LMP2 victory and being a dark horse for the outright win lest problems strike the leading Porsche. The anxiety showed on Nicolas Prost’s face as he waited for the crew to fix the gearbox issue, but the car was not going anywhere soon. The car was about to head back out on track as we write. Good news from the medical centre with confirmation that the evergreen French driver Manu Collard suffered only bruising and nothing more serious in his off at the Karting Curves several hours ago. Welcome news for supporters of the popular veteran. Hour 22 – 2 hours to go – 333 laps completed. It’s the world upside-down at Le Mans. 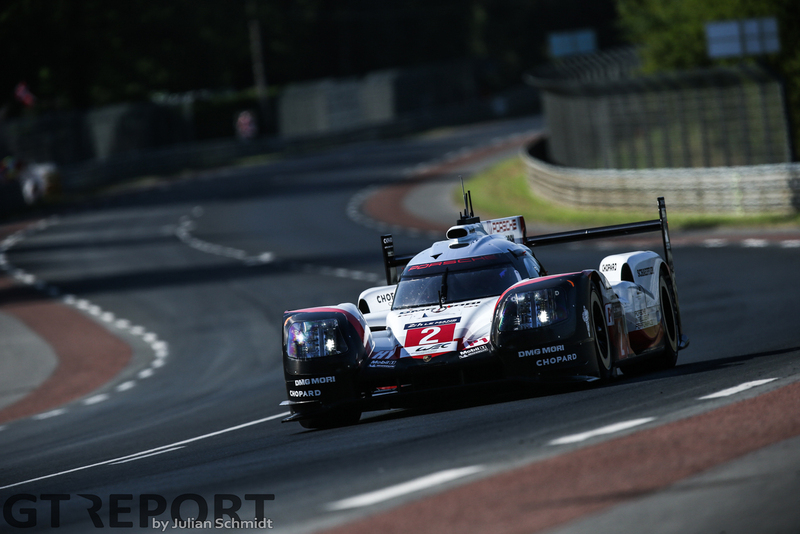 Following Toyota’s disastrous night, it’s now Porsche’s turn to suffer. 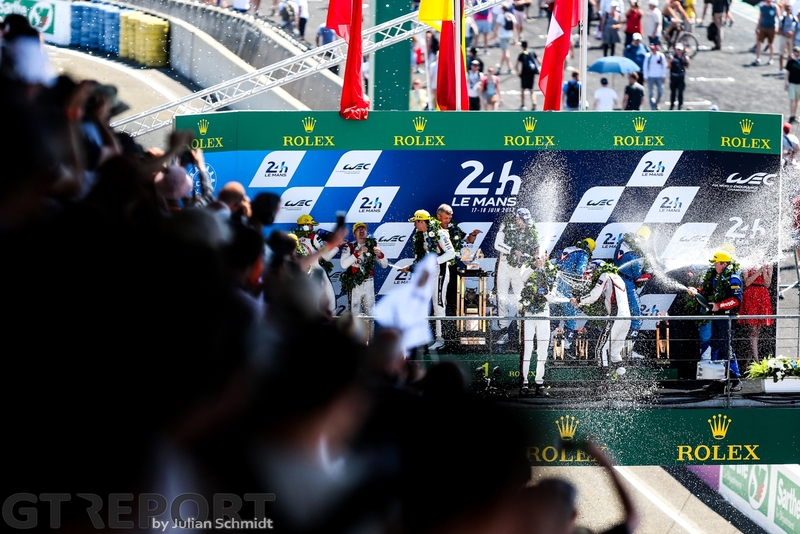 Racing into the final four hours, André Lotterer rolled to a standstill as he reported a loss of oil pressure over the radio. Retirement was all that remained for the Porsche. LMP2 has taken over the reins of the race. 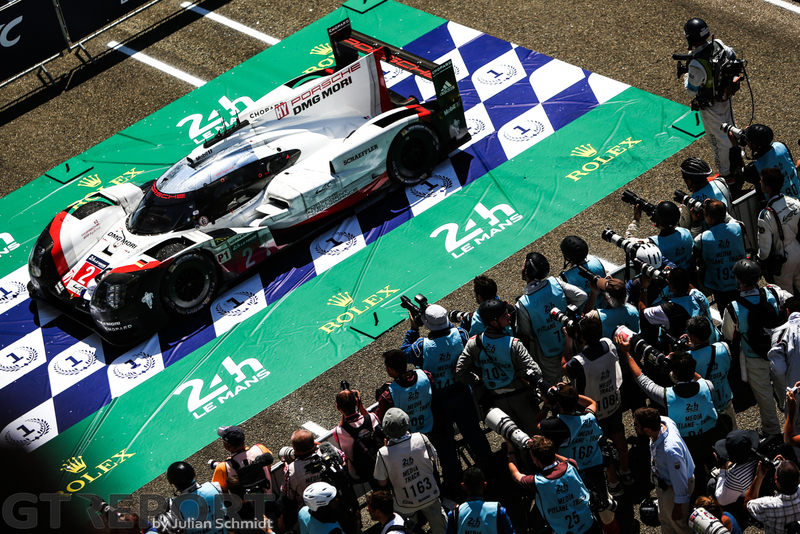 Jackie Chan DC Racing became the very first outright LMP2 leader since the class’ inception, but Ho-Pin Tung, Thomas Laurent and Oliver Jarvis now have an impossible task ahead: Keep the unleashed number 2 Porsche behind. 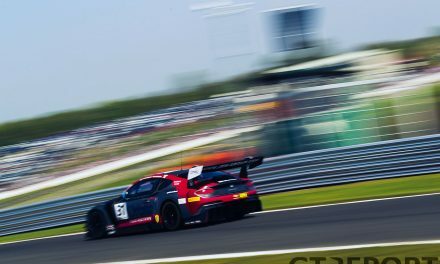 Having suffered a broken front axle on Saturday afternoon, Earl Bamber, Brendon Hartley and Timo Bernhard have been putting down fast lap after fast lap and raced themselves right back in the thick of it. 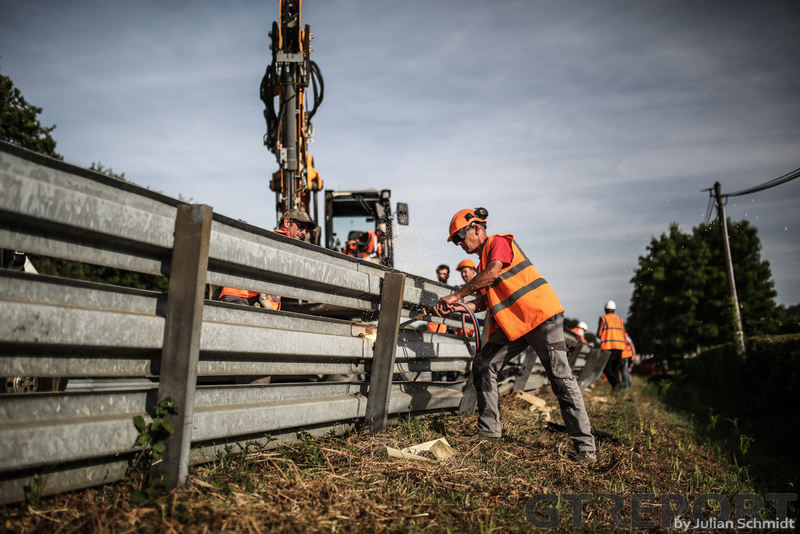 The Stuttgart brand is expected to go into the lead around 14:00 local time, if the situation in the race remains as it is. Porsche is currently in second overall. If everything would’ve gone smooth for Rebellion Racing, the Swiss’ would be leading outright with two cars right now. But gearbox problems, starter engine issues and penalties have ruined the number 31’s race, while the number 13 of Nelsinho Piquet, Mathias Beche and David Heinemeier Hansson after its Sunday morning problems is struggling to hold on, having been pushed off the podium in favour of the number 35 Signatech Alpine, raced by Nelson Panciatici, Pierre Ragues and André Negrão. Aston Martin’s number 97 Vantage leads in GTE-Pro, with the number 63 Corvette only seconds away. The cars were dueling for a while around lunchtime, but Corvette for now seems content to just follow the leader. 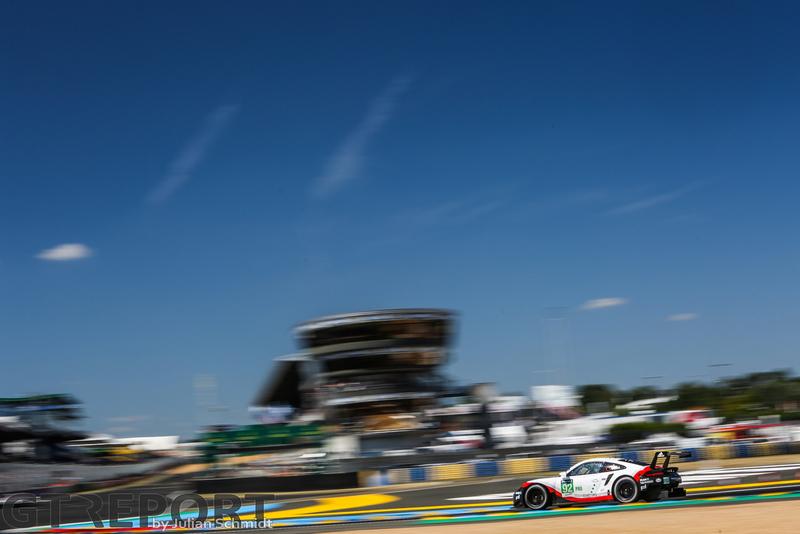 Porsche’s number 91 of Fred Makowiecki, Richard Lietz and Patrick Pilet runs third, occasionally taking the lead through a slightly different pit stop strategy, while Ford also remains on the lead lap with the number 67 driven by Harry Tincknell, Pipo Derani and Andy Priaulx. 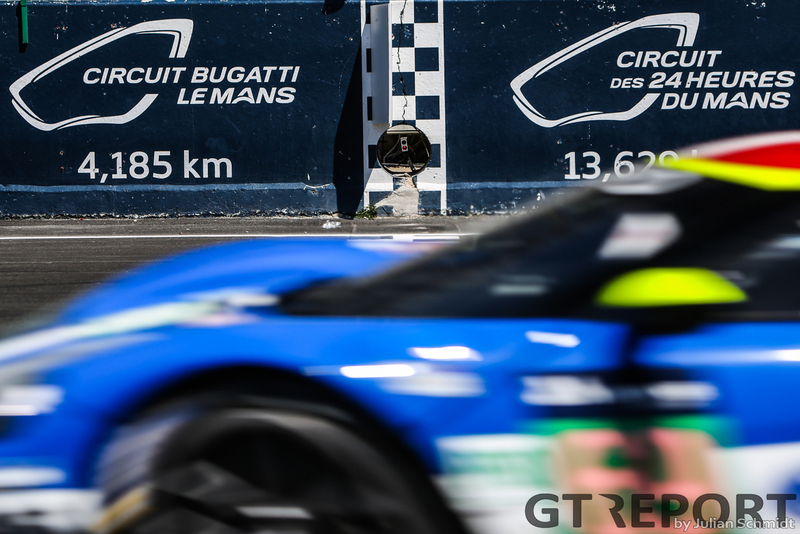 Hour 24 – Finish – 367 laps completed. What was calculated to happen, happened. 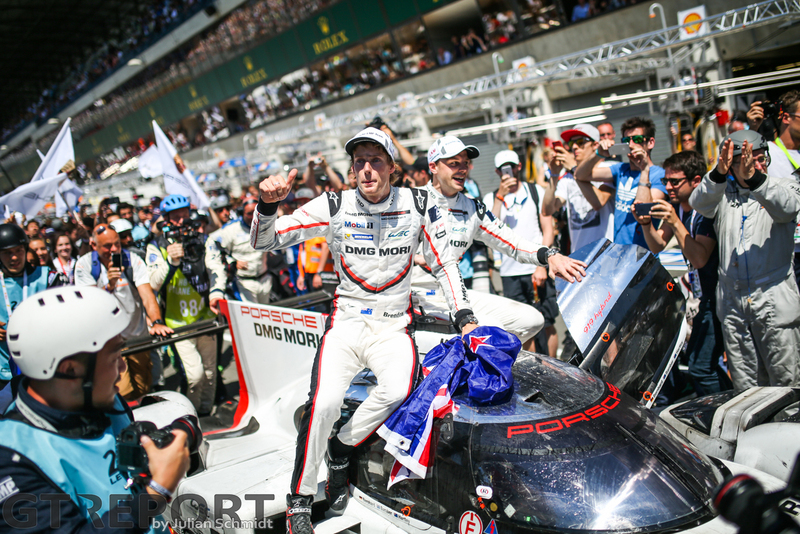 Timo Bernhard brought the number 2 Porsche 919 Hybrid with an hour to go into the lead, relegating Jackie Chan DC Racing-pilot Ho-Pin Tung and teammates Oliver Jarvis and Thomas Laurent with an all-wheel drive acceleration out of Arnage to second place. The Dutch driver had no illusions of holding off the mighty Porsche, staying his line and looking blind to the powerhouse that blasted past him. All that could bring the LMP2 squad back into the lead was a problem for the 919, but that, even after all the drama in the past 24 hours, wasn’t going to happen. 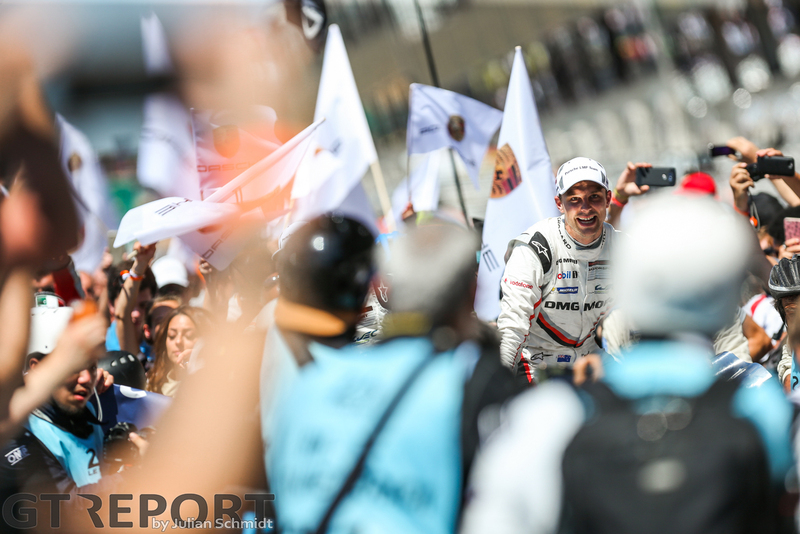 Bernhard kept pushing for a while to build the gap, but then cruised to the finish where he was heralded by his and Earl Bamber’s second and Brendon Hartley’s first 24 Hours of Le Mans title. 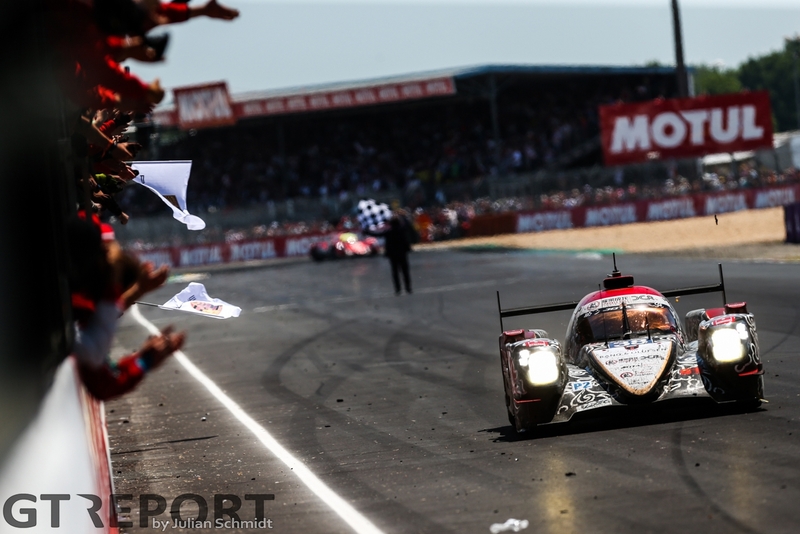 Tung held his head rightfully up and with the third-placed Rebellion Racing too far behind to do anything, drove into the final hour to bring home the LMP2 victory and a giant-killing second place. 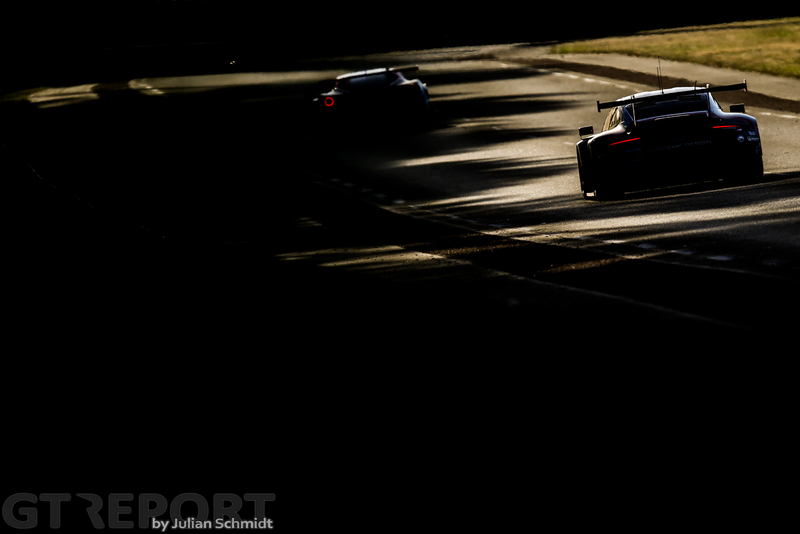 The relentless battle in the GTE-Pro could’ve gone on for a second day, but 24 hours was all we were given. Going into the last ten minutes, Aston Martin ace Jonny Adam felt ready to take back the lead from Corvette’s Jordan Taylor. The American, however, wasn’t going to have it, and did everything in his power to hold the Brit back. Almost it seemed to work: In the braking zone for Arnage, Adam went just too far, allowing Taylor to go the cutback and force the Vantage with a slight push to the side into submission. That seemed to settle it for Corvette, but in line with all other leaders in this 24-hour long thriller, Taylor too was to have his share of bad luck. Perhaps it was the clash with Adam’s Aston, perhaps it was his ride through the gravel minutes later. What is certain, is that somewhere along the way Taylor picked up a slowly deflating left-front tyre. As the Michelin started to lose its integrity, the green Vantage came back to claim the lead going into the final lap, and with it the win. 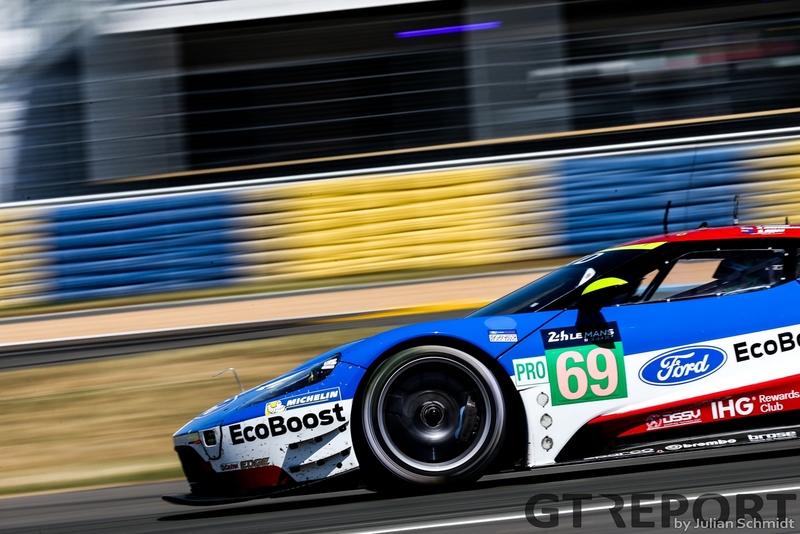 To add insult to injury, Harry Tincknell, smelling blood, picked up the pace in his Ford GT and stole second place from the wounded Corvette. 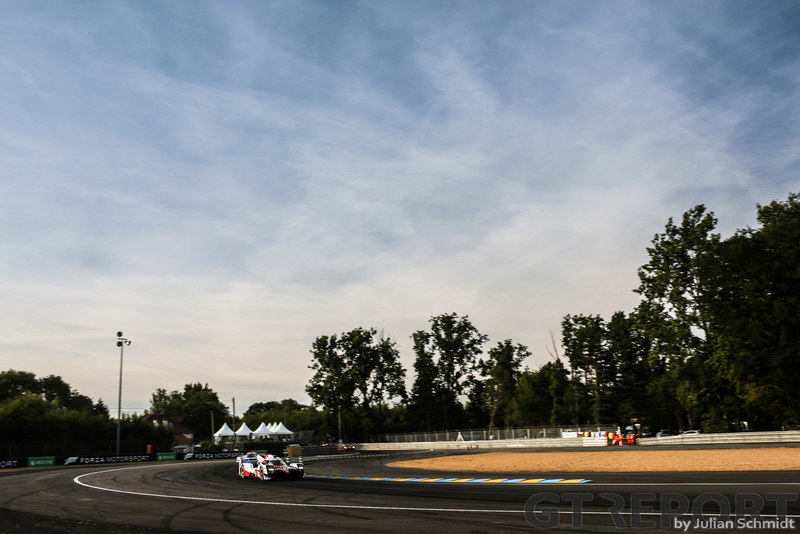 JMW Motorsport has managed to hold on to its multi-lap lead in GTE-Am. 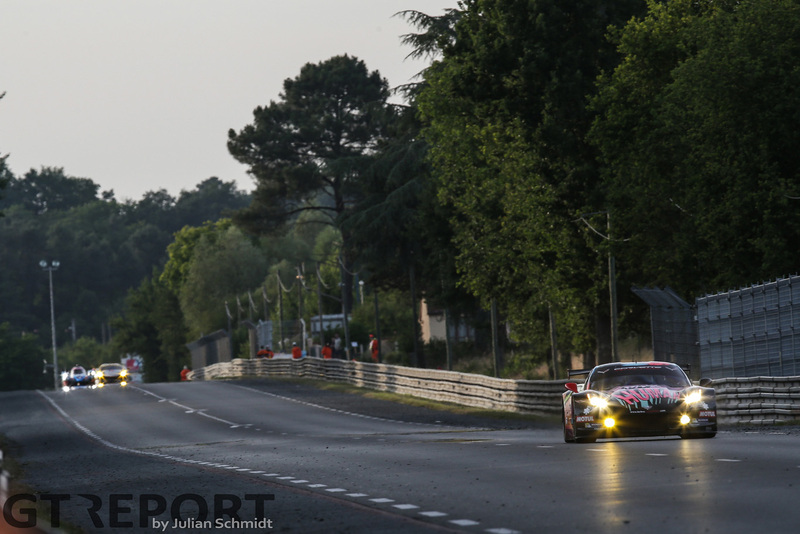 Le Mans debutantes Rob Smith and Dries Vanthoor and second-year participant Will Stevens kept the Ferrari 488 GTE in front since they inherited the lead at night.